Phil Carpenter is a true believer and lover of Santa Barbara wines and under his guidance and that of Tina Morey of Protocol Winestudio I was introduced to Dan Kessler from Kessler-Haak Vineyard and Wines, Kimberly Smith of La Montagne Winery and Larry Schaffer of Tercero Wines and had the opportunity to taste some of their delicious wines which were provided to me as samples as part of #Winestudio. #WineStudio is an online twitter based educational program that brings together winemakers, wine lovers and those curious about wine to taste learn and discuss a different topic each month for 1 hour on Tuesday nights from 6-7pm PST time. During the month of February, I was fortunate to be able to participate in #Winestudio Online Session 33 “Santa Barbara Love”. Santa Barbara has a long history of winemaking. In 1782 Father Junipero Serra planted Mission vine cuttings and in 1804 Adobe Winery was constructed in Goleta. At the present time, there are five federally-sanctioned American Viticultural Areas or AVAs within Santa Barbara County; Ballard Canyon, Happy Canyon of Santa Barbara, Santa Maria Valley, Sta. Rita Hills and Santa Ynez Valley and with its diverse microclimates there are a lot of varietals that are successfully grown and made in Santa Barbara. In my opinion though what makes Santa Barbara wines so special and amazing are the passionate people that make them. Kessler-Haak Vineyard consists of 30 acres of family owned, family farmed and family operated vines. 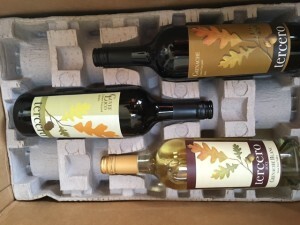 They are located in the Santa Rita Hills AVA and have a tasting room in the Lompoc Wine Center. Dan Kessler started out in tech living in Michigan, he became a home winemaker, obtained a winemakers certificate, bought land in Santa Rita Hills and then moved there with his wife Ellen. His wine making approach is a minimalistic one, relying on traditional methods and techniques and his goal is to craft great food friendly wines that speak of place and time. 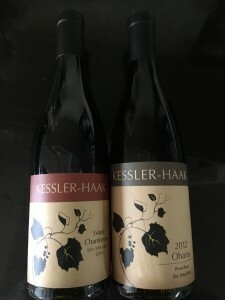 Kessler-Haak Chardonnay 2014 Sta. Rita Hills Estate ($29) This wine has good acidity to balance out its rich creaminess and texture It was aged in 10% new french oak and has some toasty, nutty flavors. Kessler-Haak Pinot Noir 2012 ($40) Flavors of cherry berry with savory hints of tobacco and black tea on the finish. This wine has nice acidity and structure that will evolve and improve with some aging. Kimberly Smith makes single batch single varietal wines and her wine making philosophy can best be summed up by a quote she gave at the end of the night after we tasted her wines, “may each sip give you joy” She makes high quality low production wines with the attitude if they don’t sell, she’ll drink them herself. She raised 5 children and then in 2006 decided to explore why she enjoyed drinking Pinot Noir so much, so she took a class. She met Wes Hagen and asked if he would mentor her and in 2010 she made her first vintage of wine. She keeps her wine in barrel “till the wine sings” which is at least 18 months and her son Alec helps her make her wines. 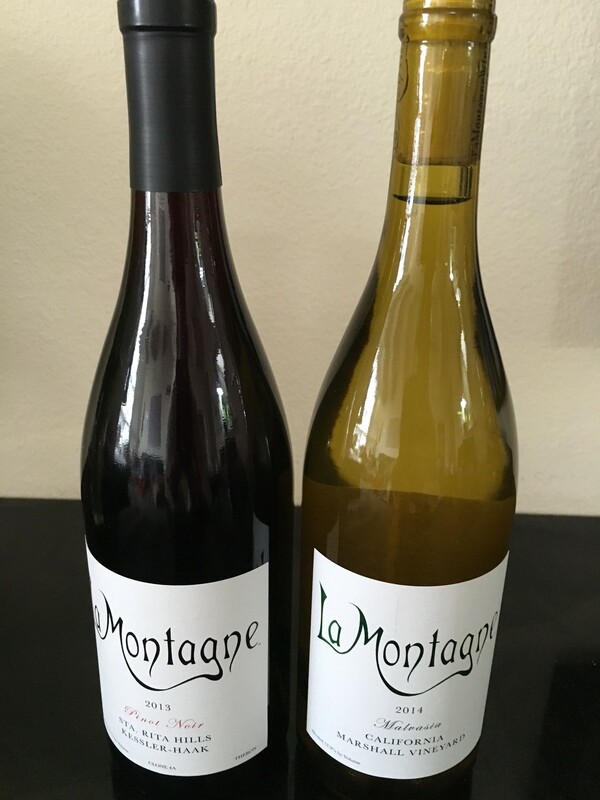 La Montagne Malvasia 2014 Marshall Vineyard ($30) The grapes in this wine come from Fresno and only 100 cases are made. It is fermented in stainless steel and has an intense floral nose but flavors of citrus and ginger with nice acidity, minerality and texture. 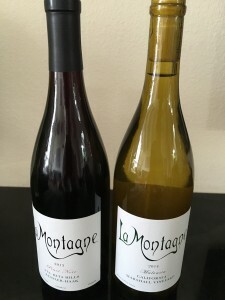 Larry Schaffer sources grapes from various vineyards in Santa Ynez, Ballard Canyon, Los Olivos and Los Alamos to create artistic red and white rhone varietals. In his own words his wine making style is “pragmatic and evolving – minimalist but not natural” and he uses screw caps as closures for all of his wines. Larry was in the educational and trade publishing industry before becoming a winemaker and he is an amazing and passionate advocate and cheerleader for spreading the word about Santa Barbara wines. Tercero Grenache Blanc 2013 ($25) This is a crisp, bright fresh wine with nice acidity. It was aged in neutral oak. Less than 500 acres of this varietal are planted in the US. Grenanche Blanc is generally used for blending but it is taking off as a single varietal and tasting this wine I can see why. Tercero Grenache 2011 Larner Vineyard ($35) This is an elegant wine with finesse and flavors of tart cherry berry mixed with nice cinnamon spice. 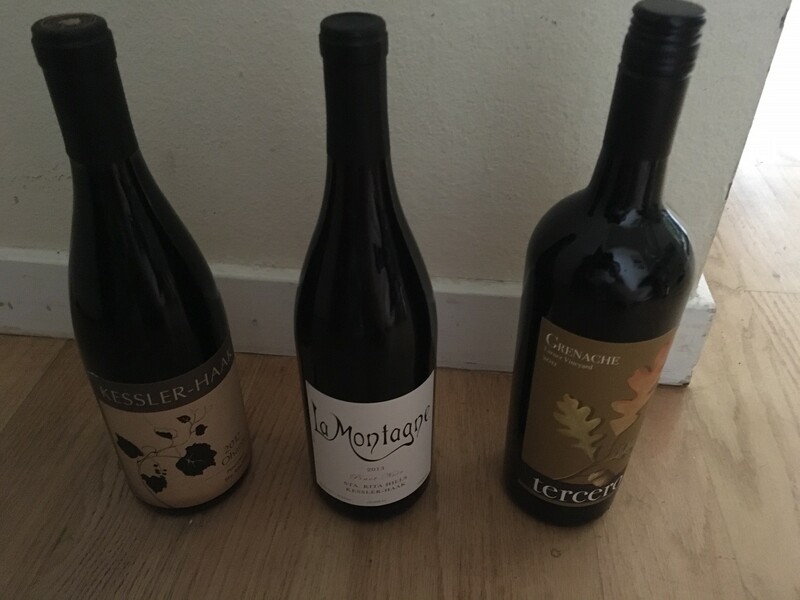 The one thing that is quite clear about all three of these winemakers is their passion for wine making and their passion for Santa Barbara wines. What is most remarkable though is not the love and joy each of these winemakers have for making their own wines, (which are amazing) but the support and care they have for each other and the wines of the Santa Barbara region as a whole. It takes a village, and the love and passion for Santa Barbara and sense of community that was imparted in this month of #Winestudio made me realize that I must visit Santa Barbara wine country again sometime soon! This entry was posted on Thursday, March 10th, 2016 at 9:09 am	and is filed under Uncategorized. You can follow any responses to this entry through the RSS 2.0 feed. You can skip to the end and leave a response. Pinging is currently not allowed.